Are you looking for a unique place with plenty of flair? Somewhere to spend a very special skiing or hiking holiday with your family or friends? Are you looking for a central yet quiet location with good bus connections? Maybe you would like to spend some time in a comfortable, luxurious home, which is fully equipped and full of finer details? 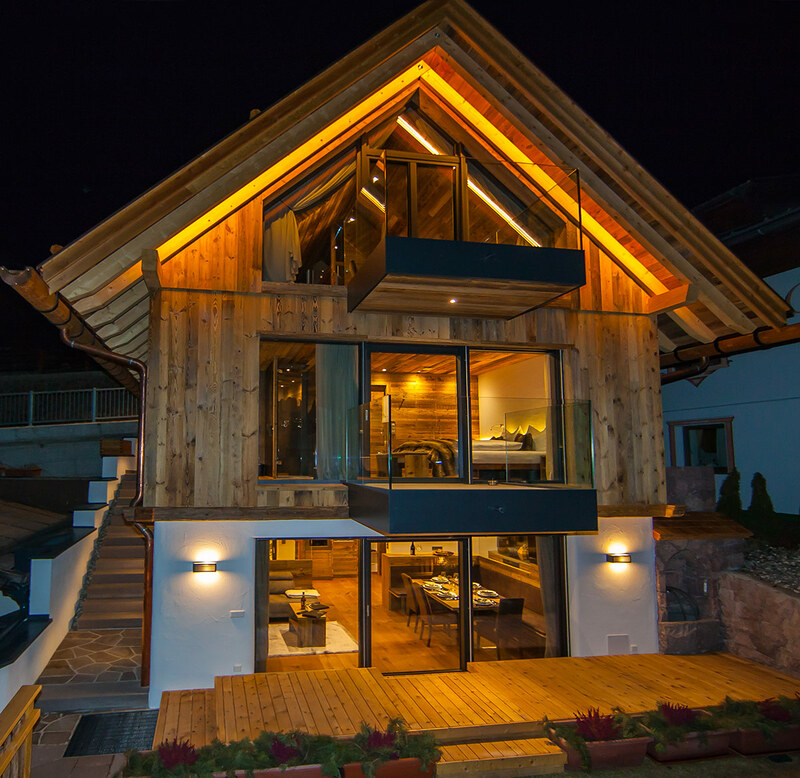 Built in 1930 and completely re-designed in 2015, the Mountain Chalet Ghilga in Ortisei in Val Gardena will not only meet your needs, but completely surpass them. For the first time, this property is available to rent for the winter season 2015/2016. 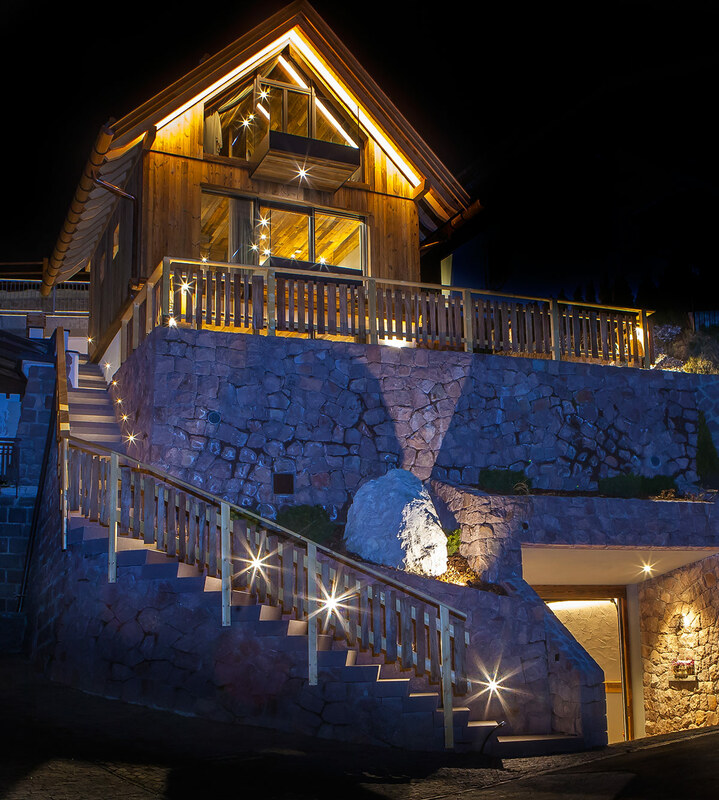 The luxury chalet offers a total of 5 levels and 150 m² with everything that a holidaymaker could ever want. There are many desirable facilities such as: panorama window, rooftop viewing point and other luxurious details that guarantee an unforgettable stay in a truly special location. 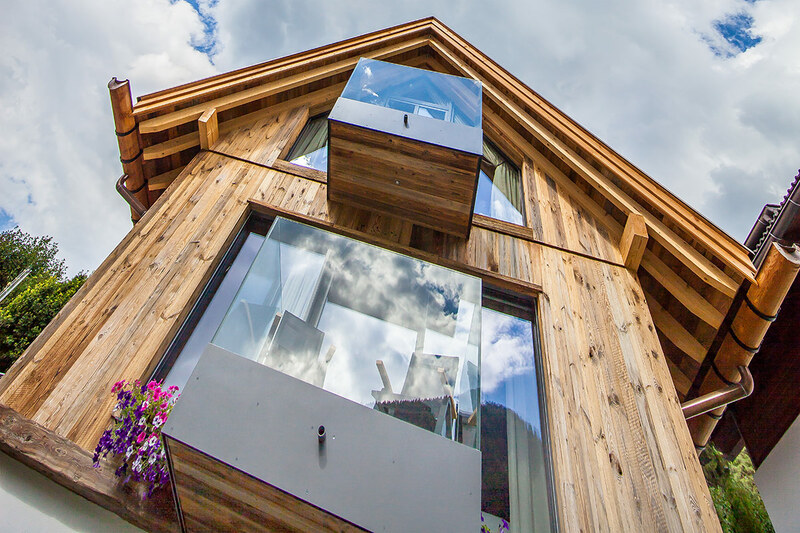 The "Ghilga" chalet takes its name from the Madonna lily. The chalet is unique and noble just like the beautiful lily. The two double bedrooms, with en-suite bathrooms, and cosy living room can accommodate up to seven people comfortably. 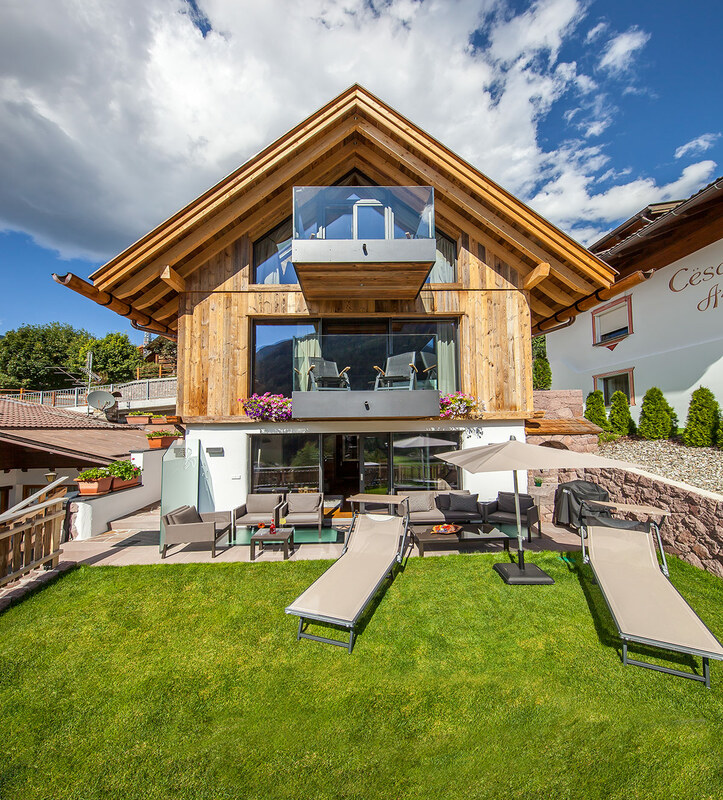 The chalet is located in a slightly elevated, central position with a charming view of the surrounding mountains and the municipality of Ortisei, on the sunny side of the Val Gardena. The lift facilities can be reached quickly and easily by public buses, some of which stop directly at the chalet. The centre of Ortisei, with its many shops and fantastic restaurants, is just a 5-minute walk away. 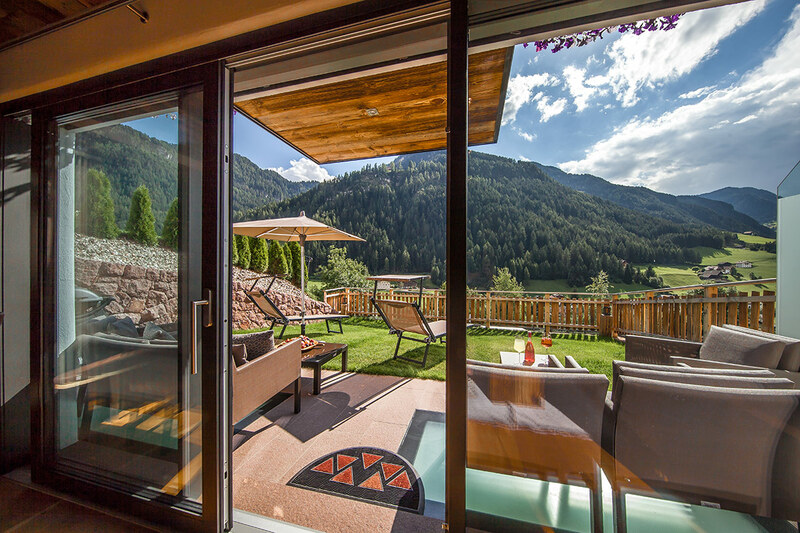 A beautiful panoramic garden and two balconies offer you a wonderful view of the Val Gardena’s mountain landscape. Our home will be as unique as your holiday. 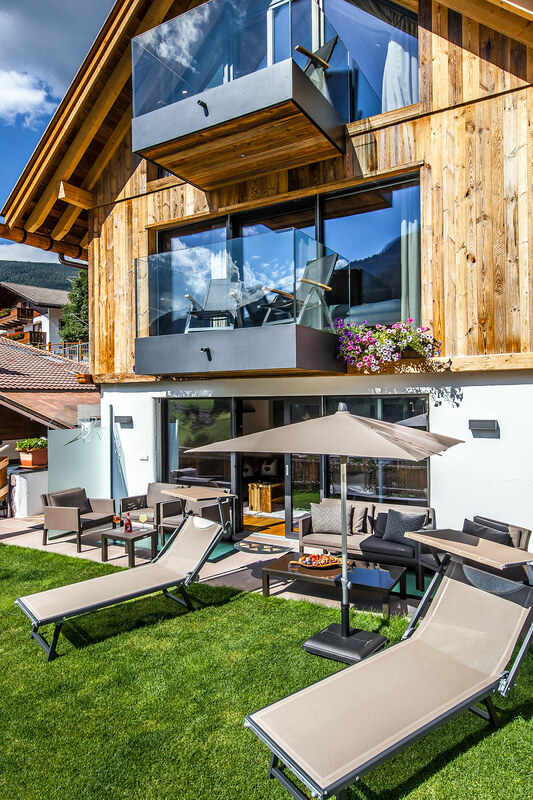 Come and spend a few unforgettable days at the Mountain Chalet Ghilga in Ortisei!